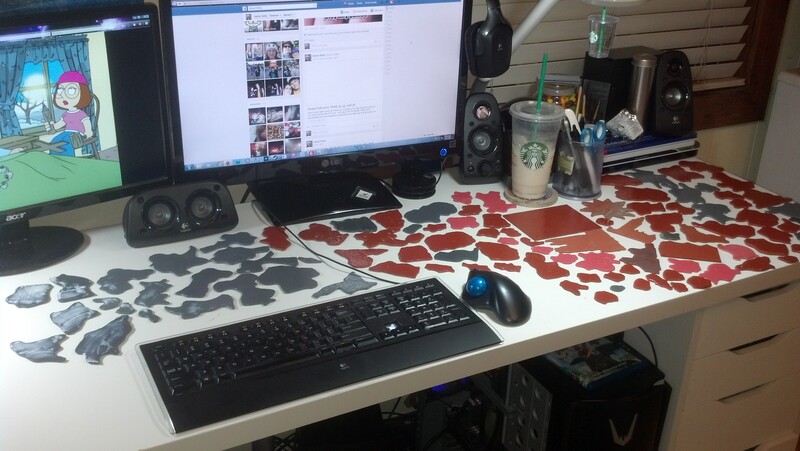 Aeryn's Creative Explosion: Studio Monday: New Stamps, More Glue! 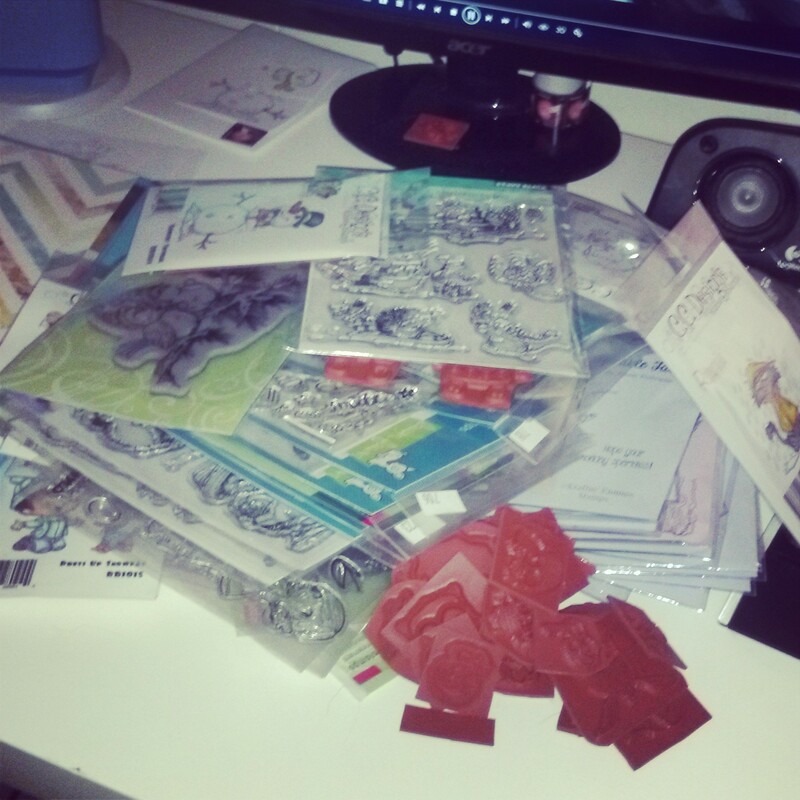 Studio Monday: New Stamps, More Glue! Friday night I pulled apart all the foamy stuff off the back of the few stamps that had it and got rid of all the packaging. It's surprising how much space just that stuff takes up! Blah! Then Sunday I got out the foam brush and the Aileen's Tack it Over and Over and got to gluing. I had originally organised the stamps into categories, but it turned out I had just enough glue to do *all* the rubber stamps. It took up my whole desk! It's better this way though, doing it all at once, so I don't have to worry about getting the glue out again. With my CF it's a bit difficult to deal with the chemical smell from the glue. The same thing with having so many clear stamp packages open at once. It just gets super checmical-y and hurts my fragile lungs. This way at least that step is done and my super industrial air purifier can get rid of the smell while I sleep. The next step is, once everything is dry (takes about 30 minutes), for me to get out my stamp categories and once again organise these guys into their themes, stick them onto their transparency sheets, and get them in their page protectors. I've still got to count all the unused stamps I have so this is the larger part of the job and you'll have to wait for another Studio Monday to see the rest. I hope you have a great day, and that you have a smaller organising job ahead of you than I have ahead of me!